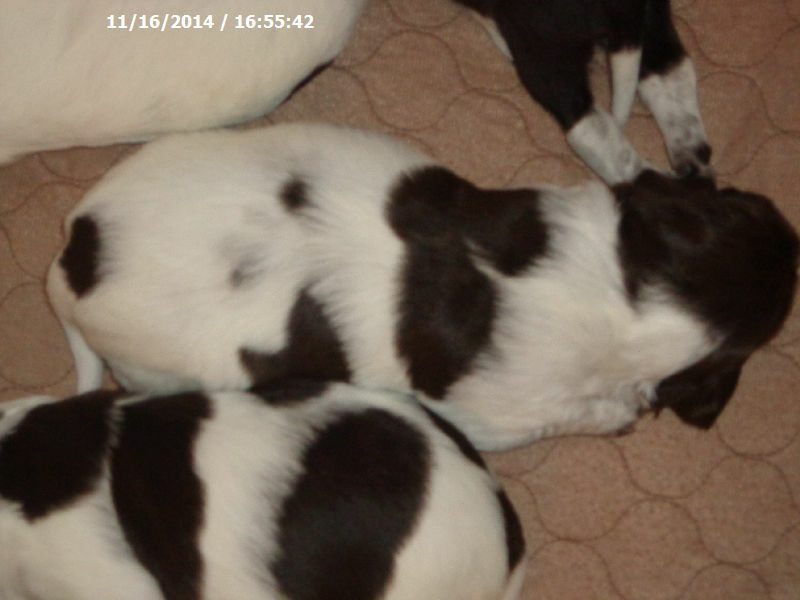 Click on a photo to view the photo in full size. 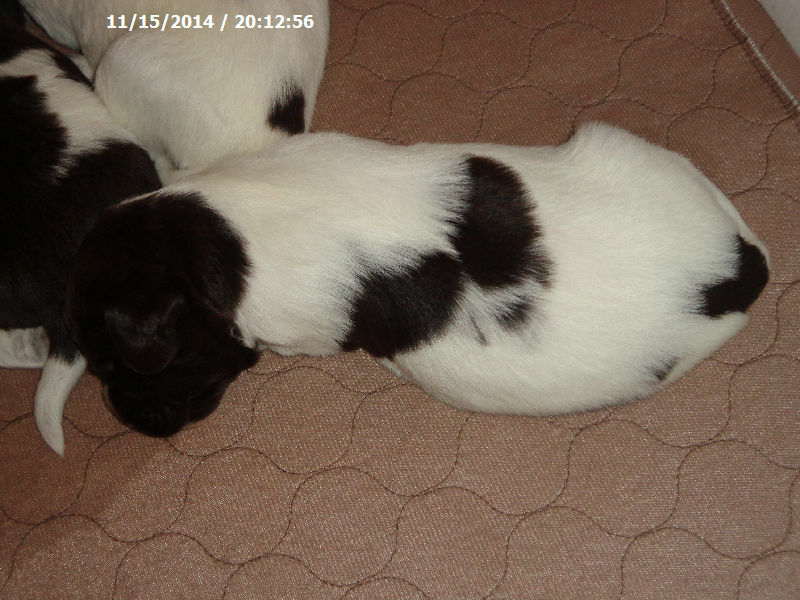 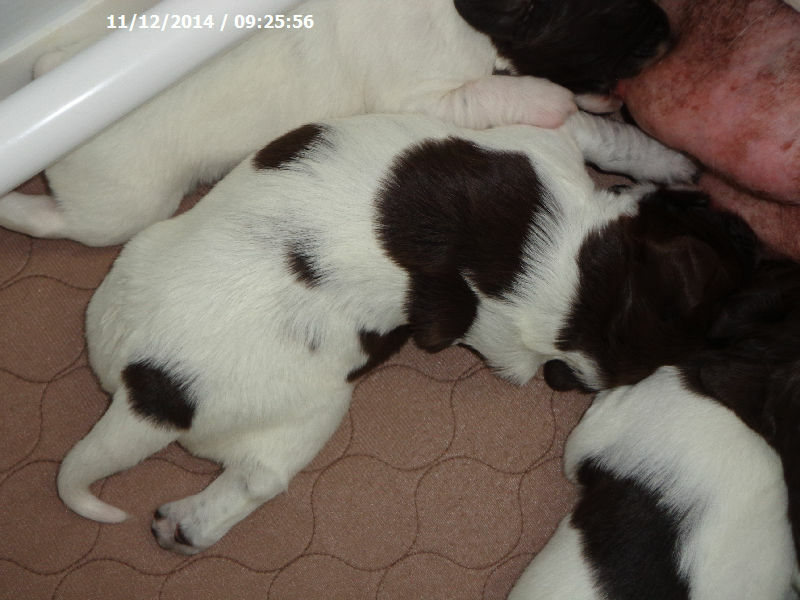 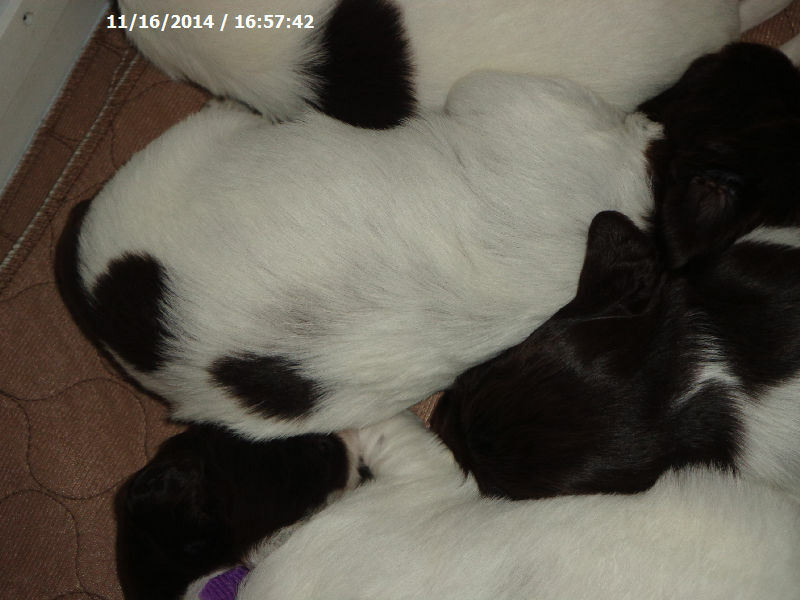 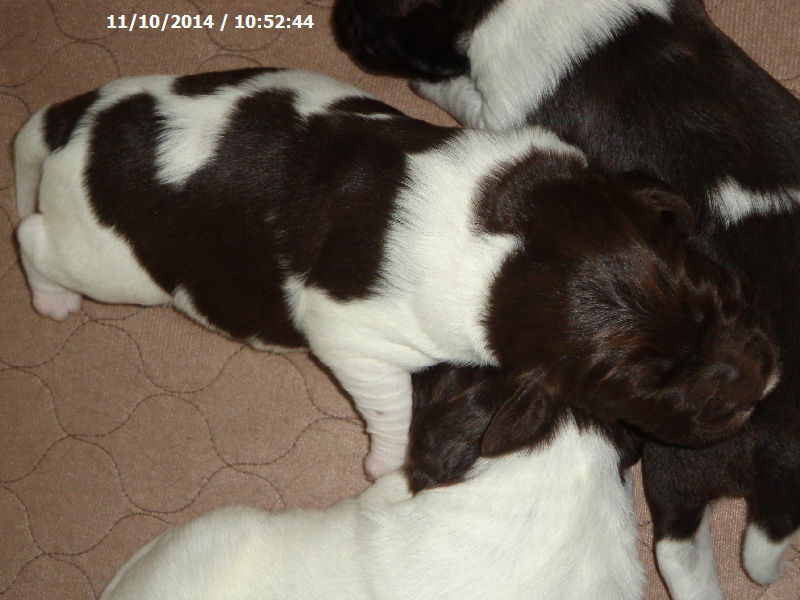 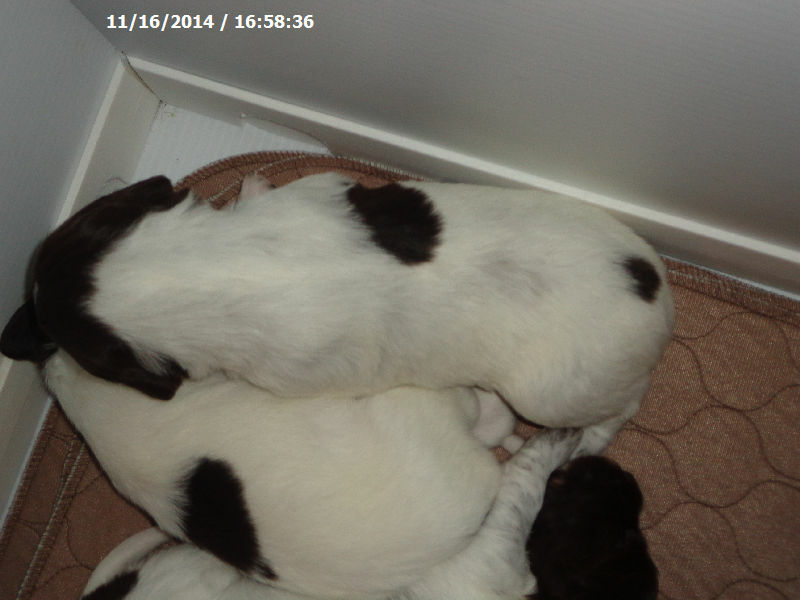 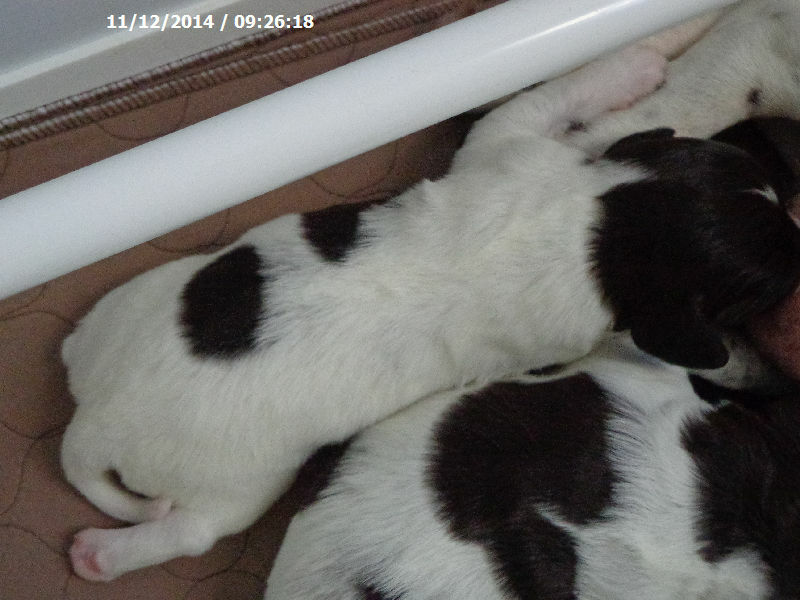 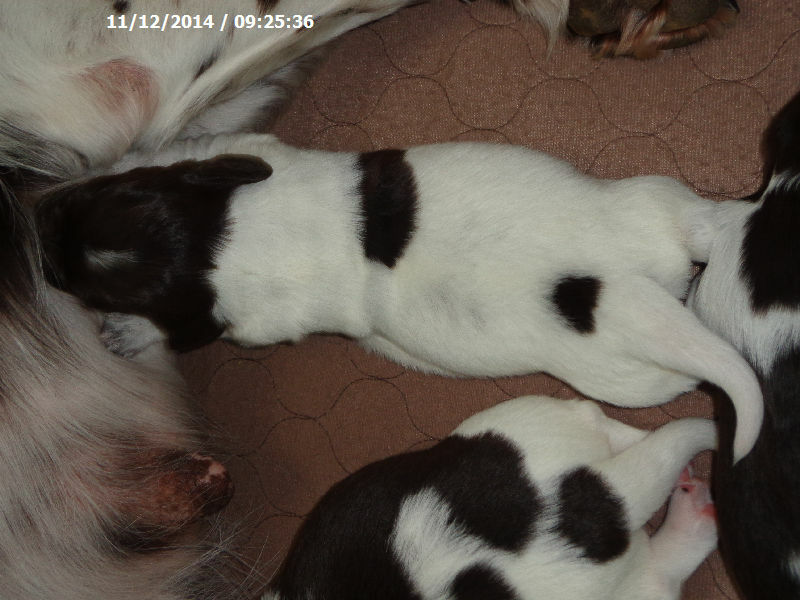 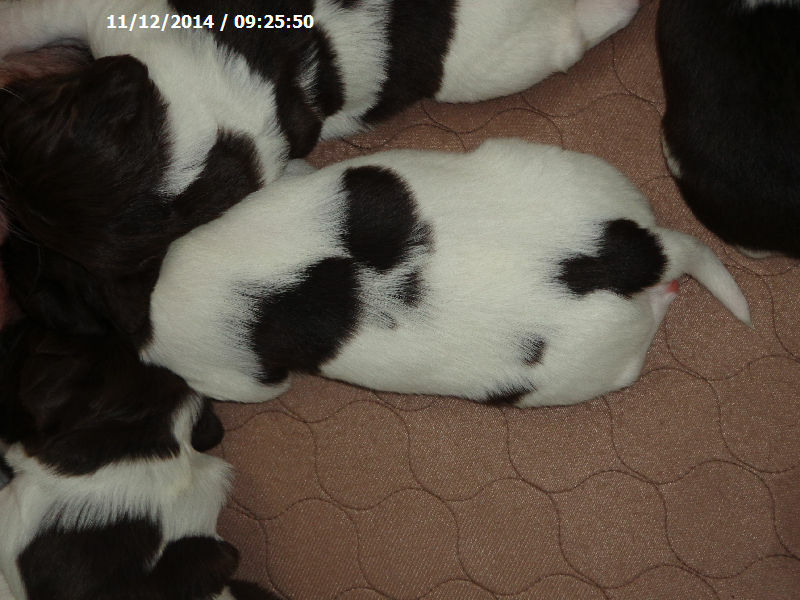 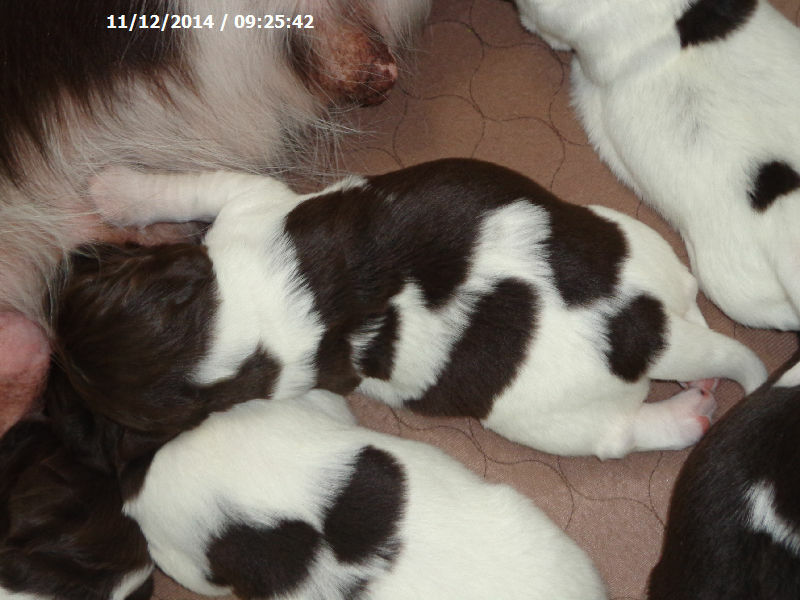 Some of the K Litter puppies are roan in color and some are brown and white. 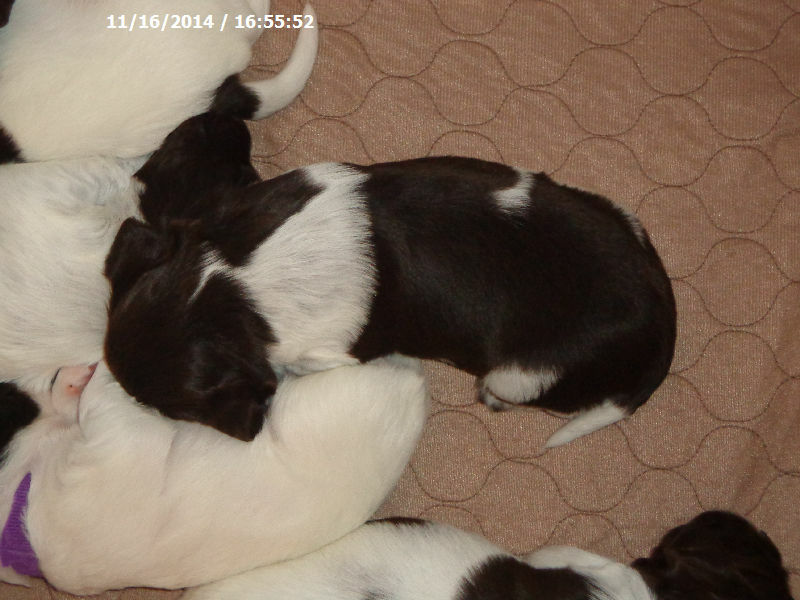 The puppies are expected to have correct, dense coats and a lot of feathering. 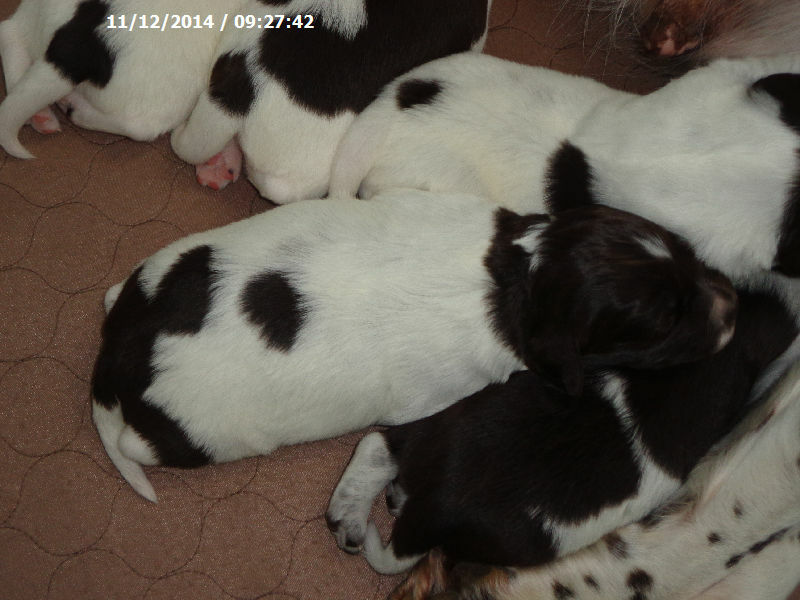 We expect the puppies to love the water and to be excellent trackers. 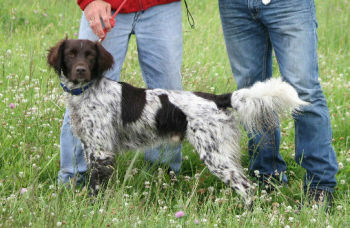 They are expected to have beautiful, correct, stylish points. 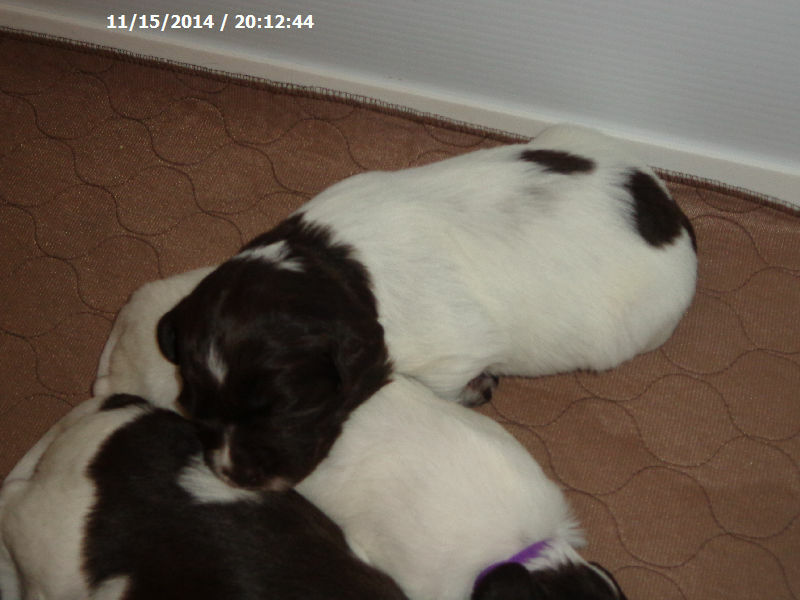 They will be calm, sweet and loyal companions who will love everyone they meet. 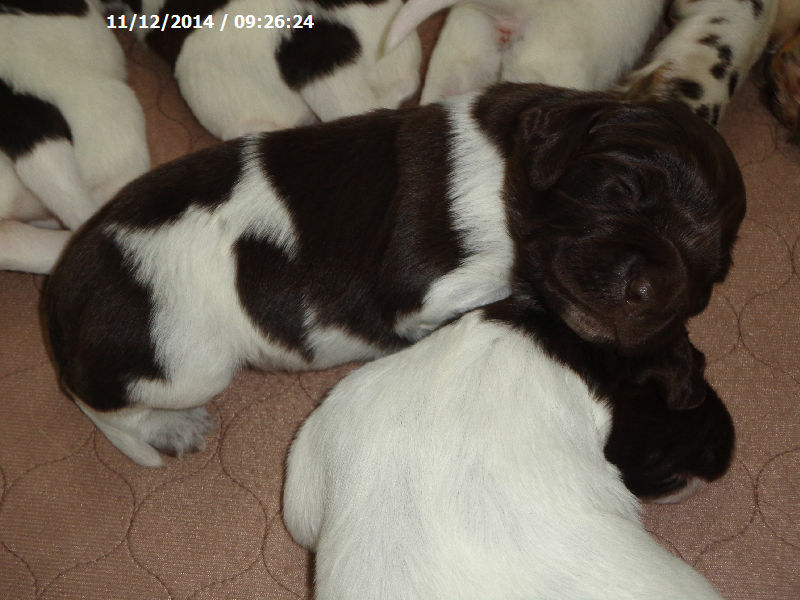 With proper conditioning, these puppies should all be amazing natural retrievers.